An opportunity to learn about the book of Allaah. Ustaadh Fahad has started a Tafseer class on Friday mornings. The class was started last Friday and this Friday it will be the 2nd class. This series of Classes shall be in the translation of the Concise Book of Al Imam As’ Sa3dee (may Allaah have mercy on him) which he has summarized from his well known book (تيسير الكريم الرحمن). when I gave some classes in this Book the dear brothers and sisters demanded that we go through it all. The key of happiness being in carefully clarifying the Great meanings of this Book (The Qur’aan). May Allaah give us all Happiness in this Dunya and in the Hereafter, and Guide us to All that Pleases Him. Ameen. E-Jaazah.com is offering a Free Tafseer course “Tafseer of Soorah Maryam“ by Brother Bilaal Abdul Kareem. Brother Bilaal is using Tafseer book by Shaykh Mustafa Al-3Adaawee for this course. Tafseer, implementation advice, and a user-friendly way to memorize the aayat/verses as effortlessly as possible inshaa’-Allaah. 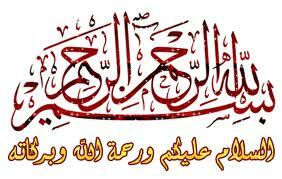 Listen to the “Memorization Helper” (mp3/20 minutes) The Shaykh recites the verses and you recite with him. The classes are pre-recorded so that you can cover the material at your leisure. Click here to join the course. For any query, contact support@e-jaazah.com. 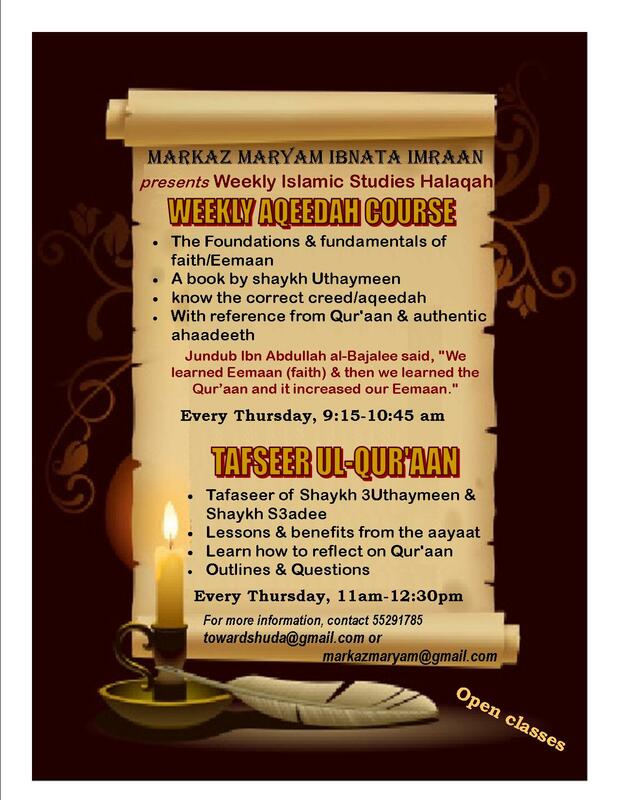 Just a quick note to announce that a new course & Tafseer class are (re)starting from this Thursday at Maryam Center. The course will explained with supplementary material & assignments. Students who would like to obtain a certificate, will need to attend & complete all assignments & exams. The course is open to all sisters.